MLV Real Estate has three professionally qualified and licensed negotiators, each offering strong local knowledge and expertise. We are responsible for a significant number of the major industrial sales in Perth and the surrounding industrial areas. 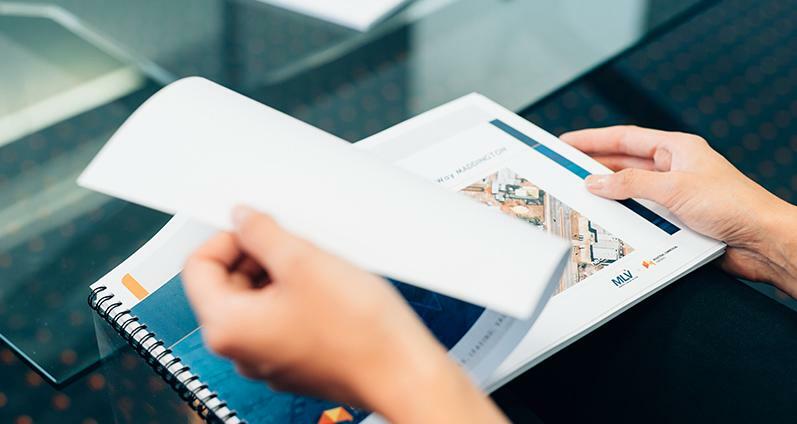 From our experience we can offer a variety of sales approaches depending on your needs, including expressions of interest, tender, auction or private treaty. Whether you have a property to sell or are looking to purchase the right building for your business, our sales agents will be able to assist you. We have extensive sales syndication services listings on our books, knowledge of new developments and excellent marketing strategies. MLV Real Estate have well-positioned vacant land opportunities available in industrial and commercial locations in the metropolitan areas and beyond. We are also able to assist you with suggestions of building requirements and the various opportunities for sale or leasing. We can connect you with the relevant Councils and assist you with their requirements. As Perth grows many areas are being expanded to incorporate more industrial and commercial land developments. MLV Real Estate has always had a strong presence in sub-divisions and at present we have property available in connection to the sub-divisions on the Freeway Industrial Estate in Malaga and the Swan Brewery Estate in Canning Vale. Many of the outer lying suburbs are opening up land for Industrial and Commercial sub-division and MLV has been integral in their development. At MLV Real Estate we have the knowledge of what is required to get through the red-tape associated with these types of developments. Undeveloped lots or parcels of land often need comprehensive knowledge on zoning and existing land use provisions and our experienced staff can provide you with this. We can also provide marketing suggestions and options for development. Finding a reliable and secure tenant for your industrial property ensures you get the benefits of your investment. MLV helps businesses to identify and secure the best premises for their business needs, and negotiate the appropriate agreements. Our team of professionally qualified and licensed agents are up to date with current market trends and can help negotiate or renegotiate the best terms and rates on your behalf. Our strong market presence and large property management portfolio is the result of accurate and well-supported advice that you can access with a simple phone call. Once your property is leased, our Asset Management team can continue to manage the ongoing administration of your property, including lease renewals, rent reviews and property maintenance issues. At MLV we have any number of warehouses available for sale or lease. Whether you require a site for manufacturing, importing, exporting, wholesaling or are connected with the many businesses utilising warehousing, we will be able to assist you with your requirements. Sites can vary from smaller warehouses up to generous sizes required for the mining or transport industry. For questions regarding warehousing requirements on (08) 9458 2222. MLV can show you a variety of factories or manufacturing plants that we have available for lease. Most of the factories will incorporate a warehouse and office facility which will suit a wide variety of industries. For questions regarding factory requirements on (08) 9458 2222. With our vast coverage over the Perth Industrial area we can present to you a good selection of offices. Some will be connected to warehouses or factories and others operate as stand alone. For questions regarding office requirements on (08) 9458 2222. MLV Real Estate has a selection of Hardstand facilities available. Whether you require a paved area for short term heavy storage or unpaved for your long term heavy machinery we can provide you with a selection. Being located near to the Perth International airport allows us to be aware of all the new developments becoming available. For questions regarding Hardstand requirements on (08) 9458 2222. At MLV we come across many showrooms which can be used to display your merchandise. Whether you are in retail or wholesale we have various options available to you in some of the most prominent locations in Perth. Our vast coverage of the suburbs around Perth means we have a good understanding of the types of showrooms available to wholesale, retail or commercial specifications. For questions regarding Showroom requirements on (08) 9458 2222. MLV has a large asset management portfolio, including everything from small commercial buildings to some of Perth’s major industrial facilities. Our team of asset managers are responsible for hundreds of tenancies, including national and international businesses, located in Perth’s northern, eastern and southern industrial suburbs. Large or small, MLV aims to provide quality management services to meet tenant requirements, whilst maximising rental and capital returns for our owners. Our Asset Management team have extensive experience in all areas of property management including negotiating lease agreements, rent reviews, lease renewals, preparation of outgoings budgets and management of company trust accounts. We also act as an intermediary between tenants and owners to resolve property maintenance issues on a daily basis. For questions regarding Property Management requirements, call (08) 9458 2222. With considerable exposure to sales and leasing transactions in Perth’s industrial market, our agents at MLV Real Estate are perfectly positioned to act as real estate valuers and consultants. With qualified agents on staff, we undertake capital valuations for mortgage security purposes, acquisitions, disposals, market value assessments, superannuation and taxation purposes. In addition, we advise both landlords and tenants in relation to market rent reviews and rental determinations. MLV Real Estate can provide professional advice on all aspects of commercial and industrial real estate, drawing on our extensive experience in these areas. We advise investors, developers and tenants, including both local and national businesses, on a range of issues including site acquisition, feasibility, highest and best use, development costs/risk analysis and project management matters. MLV has a range of options available in the Industrial and commercial arenas that would suit many discerning investors. For more information contact MLV on (08) 9458 2222.